The Lincoln Alexander Award was established in 2002 and is awarded annually in recognition of an Ontario lawyer who has demonstrated long-standing interest and commitment to the public and to the pursuit of community service on behalf of residents of Ontario. The award was created in honour of The Honourable Lincoln M. Alexander, PC, CC, OOnt, CD, QC, LSM, to reward his dedication to the people of Ontario and the legal community. The honour is granted only to members of the Law Society of Ontario or in recognition of service given while a member of the Law Society. Jim Cimba is the 2018 Lincoln Alexander Award recipient. Called to the bar in 1981, James Cimba is known to the Hamilton community for his generous and selfless community involvement. His past and ongoing commitments encompass a wide range of organizations and causes, including arts and culture, sports and recreation, community building, relief of poverty, social and healthcare agencies, charitable projects and professional associations. Born in Toronto, Ont., in 1922, Lincoln MacCauley Alexander graduated from McMaster University in Hamilton, Ont., in 1949 and Osgoode Hall Law School in Toronto in 1953. He practised law in Hamilton and was appointed Queen's Counsel in 1965. In 1968, only a few years after going into politics, Mr. Alexander was elected a Member of Parliament representing Hamilton West, thus becoming the first Black MP in Canada. He was re-elected in 1972, 1974, 1979 and 1980. In 1985, he was appointed the 24th Lieutenant Governor of Ontario, becoming the first person of colour in Canada to be named to the viceregal position. Mr. Alexander was made an honorary bencher of the Law Society of Ontario in 1992 and he received the Law Society Medal in 2002. He received countless honours and awards over his lifetime. In 1992, he was appointed both an Officer of the Order of Ontario and a Companion of the Order of Canada. He received the Lifetime Achievement Award from the Canadian Association of Black Lawyers in 1997 and has been awarded honorary Doctor of Laws degrees from five universities. 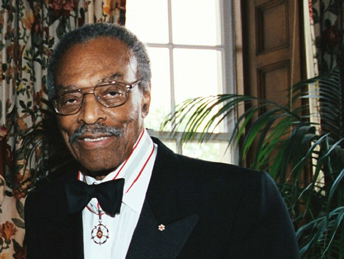 Lincoln Alexander died on October 19, 2012, in Hamilton, at the age of 90.